Kathleen Funk will be giving a Grand Rounds lecture on TCM & Mental Health for the UT Medical School in Austin, TX, on Tuesday, November 10, 2015, from 12:30pm - 2pm. The lecture is a great opportunity for Western Medicine and UT Medical School to better learn and understand TCM and it's benefits for Mental Health. 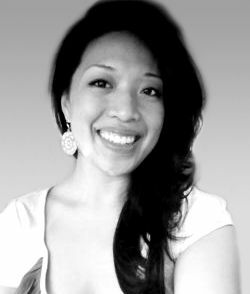 Kathleen is an acupuncturist and Founder of Acufunkture in Houston, TX. (My hometown!) Kathleen is a long time Jasmine user and I'm proud and happy to be a witness to her successes. For more information about Kathleen, see her bio below and visit her website! If you're in the Austin area, come out and show your support for Kathleen and the acupuncture community! "Kathleen Funk received her BA at Baylor University where she studied Philosophy and Medicine and went on to receive her Master of Acupuncture & Oriental Medicine from the American College of Acupuncture & Oriental Medicine (Houston, TX). Kathleen completed her residency in China at Zhejiang Hospital of Traditional Chinese Medicine located in Hangzhou and the Affiliated Integrative Hospital of Luzhou Medical School located in the Sichuan Province. She is certified by the National Certification Commission for Acupuncture & Oriental Medicine and is licensed in Acupuncture by the Texas Medical Board."